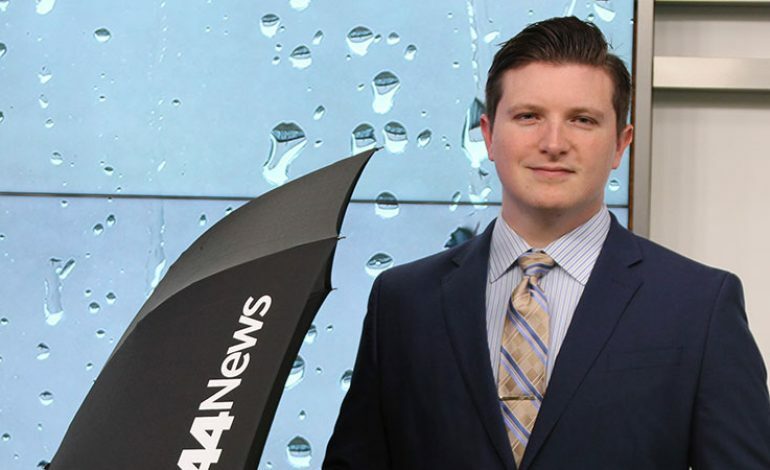 You can have your very own 44News Umbrella to protect you from the tri-state rain and wind! To enter, use the 44News Mobile App and click on Contests & Giveaways. Be sure to enter every day… we’ll draw a winner on the 1st and 15th of the month. Good luck! By entering the sweepstakes, you agree to following rules. To be eligible to participate in this sweepstakes, entrants must be legal US residents in the Evansville, IN DMA (as defined by Nielsen Media Research), additionally including Knox County, IN, Daviess County, IN, Gallatin County, IL , and Lawrence County, IL, and be at least 18 years of age on the day the sweepstakes begins. Employees of Bayou City Broadcasting Evansville and WEVV-TV (hereafter the Station), Southard Freeman Communications (hereafter the Sponsors), their affiliated companies, advertising and promotion agencies, and the immediate family members of each are ineligible. The term immediate family includes spouses, parents, siblings, children, grandparents, and grandchildren. Entrants are only eligible to win one prize valued at $500 or more every six (6) months from the station. However this does not disqualify them from participating in the sweepstakes. (1) Shed Rain Umbrella. Prize valued at $50. Prize provided by Southard Freeman Communications. 1. No purchase is necessary to enter. Eligible entrants may register once per person per day. If the sweepstakes receives multiple and/or irregular votes from the same user or users, regardless of the source, the Station reserves the right to disqualify the entrant in its sole discretion. 2. Odds of winning the sweepstakes are dependent upon the number of entries received. 3. To enter, utilize the 44News Mobile App and click the Umbrella Giveaway link. Complete the online entry form. Entries generated by a robotic, programmed, script, macro or other automated means may be disqualified. No other forms of entry are valid other than that set forth above. All entries received that are mutilated, tampered with, incorrect, illegible, or from ineligible entrants will be void. All entries become the property of the Station. 4. Entries must be received by the Station by Thursday 11:59pm CST on week day during the Sweepstakes Period to qualify for the daily drawing. 5. Neither station or sponsor, its agencies, nor any sweepstakes entities are responsible for lost, illegible, late, misdirected, incomplete, mutilated, or non–delivered entries or email; or for interrupted or unavailable satellite, network, server, internet service provider (ISP), website, telephone or other connections, availability or accessibility, or miscommunications, or failed computer, satellite, telephone or cable transmissions, or lines, or technical failure or jumbled, garbled, corrupted, scrambled, delayed, or misdirected transmissions, or computer hardware or software or telephone malfunctions, failures, or technical errors or difficulties, or other errors of any kind whether human, mechanical, electronic or network or the incorrect or inaccurate capture of entry or other information or the failure to capture, or loss of, any such information. 1. On the 1st and 15th of each calendar month, one winner will be randomly selected from eligible entries. Remaining valid entries will not carry over to the next drawing. Winner will receive the Prize described above. 2. Winner will be notified by e-mail. Before claiming prizes, winners must provide their correct name, address, telephone number, and email address to Station at the time of notification. Winners must sign and return a release and affidavit of eligibility, which must be received within 10 days of notification at the time each winner claims his/her prize in person at the Station. Winners must show picture identification to claim prizes. Station is not responsible for lost or misdirected notification emails. 3. Prizes not claimed within 14 days after being awarded shall be considered forfeited and will become property of the station. Forfeited prizes may be re-awarded or disposed of at the discretion of station management. 5. Each winner is responsible for paying all local, county, state and federal taxes on prizes based on the estimated retail value of the prizes as set forth in these rules. 6. The Station is not liable if the provider of any part of the prize fails to satisfy its obligations to furnish its portion of the prize. 7. In entering this sweepstakes, you acknowledge the Station and the Sponsors have the right to publicize your name, character, likeness, photograph, voice and the fact that you are the winner for promotional purposes without financial compensation. 8. If a Sponsor pulls out of sweepstakes for reasons beyond station’s control, the station is not responsible for continuing the contest, and may substitute prizes to fulfill obligations or terminate the contest at its sole discretion. 1. Sweepstakes rules are available Monday through Friday during normal business hours at WEVV-TV, 477 Carpenter Street, Evansville, IN 47708 and on the Stations website at www.wevv.com. 2. For a list of prize winners, send a separate, self-addressed, stamped envelope to WEVV-TV, 477 Carpenter Street, Evansville, IN 47708. 3. This sweepstakes is subject to all applicable laws and regulations and is void where prohibited. 4. The Station and the Sponsors accept no responsibility or liability in connection with any injuries, losses or damages of any kind caused by or resulting from the acceptance, possession or use of any prize awarded hereunder. 5. Station is not liable for any lost or stolen entries, prizes, or sweepstakes information. 6. Station reserves the right, at its sole discretion, to cancel, terminate, modify, or suspend the sweepstakes. 7. The station reserves the right, at its sole discretion, to disqualify any individual it finds to be tampering with entry process or operation of sweepstakes or website, to be acting in violation of the terms of the website or to be acting in a non–sportsmanlike or disruptive manner, or with intent to threaten, abuse or harass any other person. 8. By entering this sweepstakes, each entrant waives any and all claims of liability against the Stations, any sponsors, and their respective parent, affiliates, officers, directors, employees and agents, for any and all claims, loss, damage or injury which may occur as a result of entrant’s participation in this sweepstakes. 9. All charges, fees, costs and expenses not specifically included in the applicable prize descriptions are the responsibility of the respective Prize Winner and his or her guest, if applicable. 10. The Station assumes no responsibility for, and does not guarantee in any way, the availability or performance of any mobile, text, or data service, including liability for transmission delays or message failures, or for any fees or charges levied by the entrant’s mobile carrier. 11. This sweepstakes is in no way sponsored, endorsed or administered by, or associated with, Facebook.com. You understand that you are providing your information to the station and not to Facebook.com. 12. Station reserves the right to share sweepstakes entry data with the Sponsors. 13. The Contest and all of the related pages, contents and code are copyright, SecondStreet, and/or this affiliate. Copying or unauthorized use of any copyrighted materials, trademarks or any other intellectual property without the express written consent of its owner is strictly prohibited. 14. All decisions by the station are FINAL.